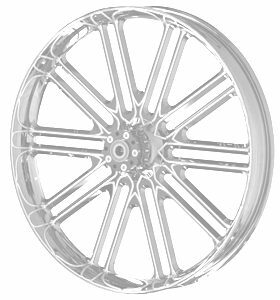 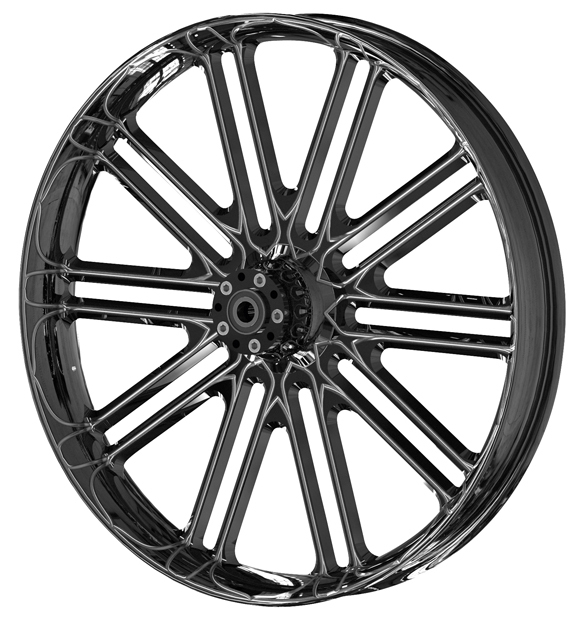 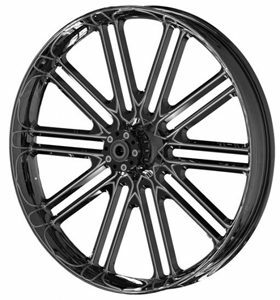 Unbreakable 26×3.75 front custom motorcycle wheels were specifically designed for custom Baggers. They can fit stock Harley rotors with mounting holes drilled to a 0.39 inch diameter (10mm) or you can use our matching Unbreakable rotors. 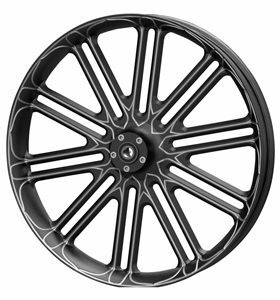 These forged aluminum front wheels are available in polished finish, black powder coated or black anodized with CNC machined details to add some contrast. 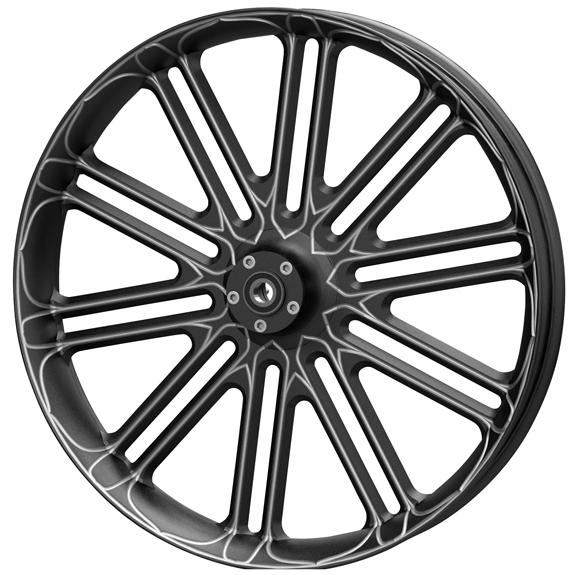 Dual flange. 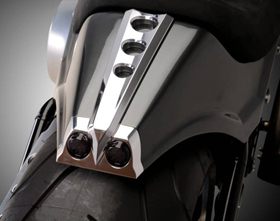 They work great combined with our Bolt-on Raked Triple Trees Kit for Baggers. 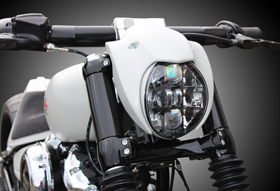 An exceptional product for top customizers demanding for the best!